Is San Vincente the new Boracay for the Philippines? HomeTransportInfrastructureIs San Vincente the new Boracay for the Philippines? 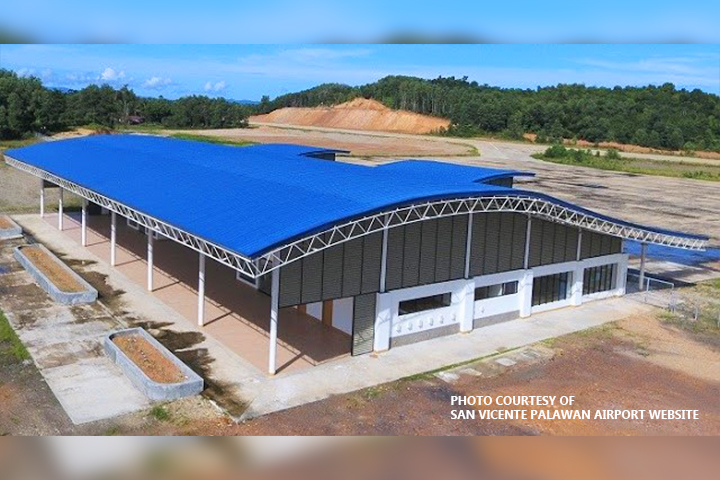 The Civil Aviation Authority of the Philippines (CAAP) inaugurated San Vicente Airport (SVA) in Palawan on May 10 with commercial flights to be opened, according to a recent report from the Philippine News Agency (PNA) . The CAAP indicated that the PHP62.7 million San Vincente Airport development project’s construction began in 2009, with a goal of providing more flights and routes for passengers traveling to and from Palawan. SVA was officially opened to light aircraft on June 22, 2017, and to Air Juan’s chartered flights in August 2017. “Last year, SVA was opened to general aviation and charter flights from Air Juan, connecting Puerto Princesa City, San Vicente, Coron–Busuanga, and Caticlan,” said a spokesperson for the Civil Aviation. SVA benefits from a strategic location, only 125 km northwest of Palawan capital Puerto Princesa. “SVA will serve as this new destination’s main gateway while also catering to the air transport needs of our country’s first TEZ,” indicated further the CAAP. “San Vicente, Palawan has been named as the country’s Flagship Tourism Enterprise Zone (TEZ). As a Flagship TEZ, San Vicente is envisioned to be one of the centers of tourism development in the Philippines, which will provide varied and integrated tourism and economic facilities and activities that will attract both domestic and foreign investments, therefore generating employment and other socio-economic developments,” stressed CAAP representatives at the inauguration ceremony. San Vicente TEZ was officially launched in December 2016 by Philippines Department of Tourism (DOT) and the Tourism Infrastructure and Enterprise Zone Authority (TIEZA). “San Vicente , Palawan was identified by TIEZA as its first flagship Tourism Enterprise Zone (TEZ) mainly for its pristine natural attractions of forests, islands, coves, and most specially its 14.7-kilometer shoreline, which is said to be the longest in the world,” announced during the inaugural of the TEZ, TIEZA chief operating officer Guiller B. Asido. San Vicente pristine beaches including Philippines’ longest white sand beach makes it comparable to the country’s premier white sand beach destination, Boracay. Local authorities believe that Boracay’s temporary closure could be beneficial for San Vicente which could then be an alternative destination to Boracay. However, authorities have now to attract investors as accommodation in San Vincente is still limited with only two dozen resorts, mostly classified with two or three stars. Manila Ninoy Aquino International Airport to Be Turned into a Business District?